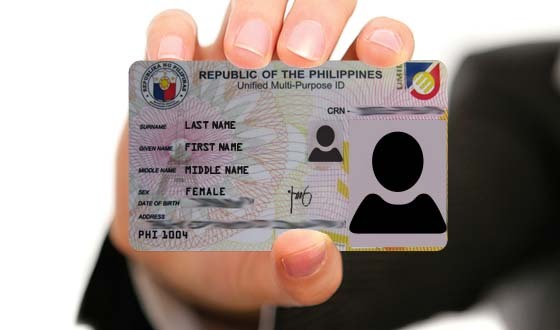 MANILA -- The entire population is expected to be registered at the Philippine ID System (PhilSys) in two to five years, the Philippine Statistics Authority (PSA) said Wednesday. The PSA will go full swing with a pilot launch late this year and a mass rollout in the beginning of 2019 with a target enrollment of 25 million Filipinos yearly. For initial registration, the PSA will enroll the first one million, who are beneficiaries of the Unconditional Cash Transfer (UCT). "There are about 2.6 million of them. So 1 million, we will start already this year, then 1.6 (million) next year," Lisa Grace Bersales, PSA's National Statistician and Civil Registrar General, said. "We have not yet decided as to what the queue looks like. It is just clear to us that we will start with the UCT, CCT (Conditional Cash Transfer beneficiaries), and senior citizens," she added. Bersales said PSA will announce specific dates when the public can go to registration centers to sign up. The law will take effect by end of August, 15 days after its publication while its implementing rules and regulation (IRR) will be ready by the first half of October. Bersales said a new office will be formed and PSA will appoint a Deputy National Statistician for National ID. She said an estimated PHP30 billion would be needed for the three to five year implementation of the national ID system. "We only have an indicative budget. It’s just an estimate. It’s not yet that firm, but we expect that we’ll be spending PHP30 billion for the three to five years," she added. Under the law, PSA, which will act as the PhilSys Registry, will require the applicants his/her biometrics, along with response to 10 basic identity questions, three of which may be optional. For newborns, PhilSys registration will be upon birth sans the biometrics. Bersares said the first biometric for child applicants will be captured at age five and will be updated when he/she reaches the legal age of 18. "The PhilSys is very simple. It will only answer who are you and who you really say you are – that’s all," she said. The main requirement for PhilSys registration is the birth certificate. However, in cases of error or significant concerns related to the supporting document, Bersares clarified the application will still be processed. "Suppose the applicant doesn't have a birth certificate, we will use different processes to assess the situation," she said, noting that special lanes will be provided to those with problems having typographical errors in their names.